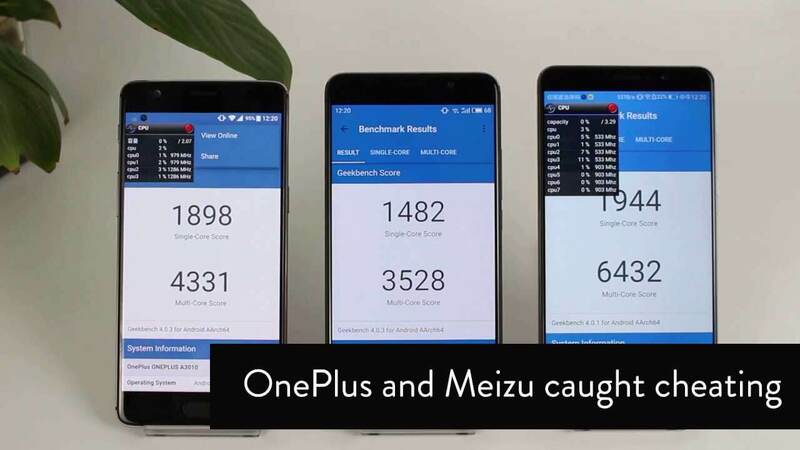 One of the most popular Android Smartphone Manufacturer, OnePlus & the Chinese electronics giant, Meizu are found Guilty Of Cheating some of the popular Android Benchmarking Apps. This was initially discovered by Mario Serrafero of XDA Developers, who took notice of some strange behavior in the smartphones of these brands. 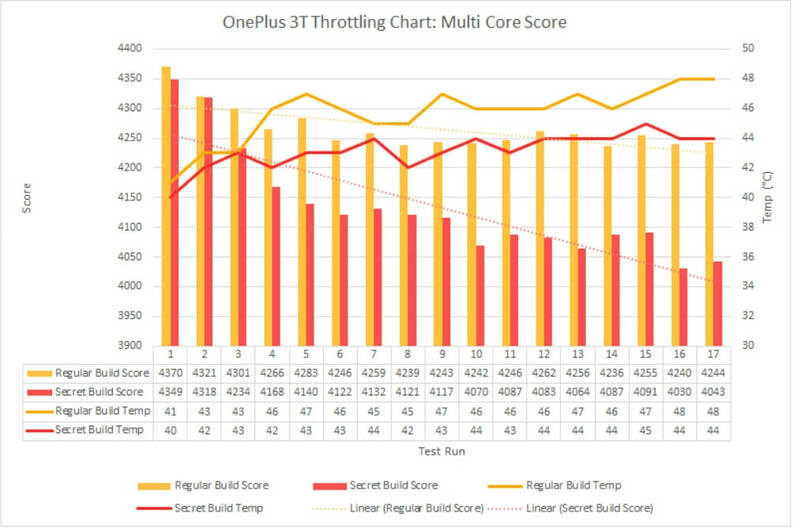 The OnePlus 3T and Meizu Pro 6 Plus were then found using underhand techniques to boost the performance of the device while running specific apps. While using Qualcomm’s Trepn Power Profiler and Snapdragon Performance Visualizer, Serrafero realized that the OnePlus 3T sometimes wouldn’t scale down clock speeds after opening apps. Upon further inspection, it came to light that this phenomenon is only observable when launching certain apps, mostly benchmarks. After discovering the strange benchmark results, XDA developers approached the software company behind Geekbench — Primate Labs to further analyse the issue at hand. And this is what was discovered while testing the two smartphones. OnePlus was targeting these benchmark Apps by name, and was entering an alternate CPU scaling mode to pump up their benchmark scores. You might be thinking of “How can OnePlus do this to their users?”. Well, Meizu has something special for the talks. The Chinese phone maker is using different setting that have hard-coded in the software to cheat users depending on the app they’re using. The Meizu Pro 6 Plus is powered by an Exynos 8890 processor and features two modes – Balance Mode and a Performance Mode. The hack is appalling and has been pushed out to users via a recent software update. The phone usually operated at a sub-standard settings and switched to better settings when a benchmarking app was opened. The company has, however, now handed control of the said differential modes to the users themselves. It now prompts the users to turn on Performance Mode when they run a benchmarking app. This, thus, helped the company yield better results in the Benchmarking tests. The Performance Mode wasn’t being used in everyday use. This development was first reported by AnandTech. In order to give users a better user experience in resource intensive apps and games, especially graphically intensive ones, we implemented certain mechanisms in the community and Nougat builds to trigger the processor to run more aggressively. The trigger process for benchmarking apps will not be present in upcoming Oxygen OS builds on the OnePlus 3 and OnePlus 3T. I guess this after the reveal of this benchmarking scam, the company might face some real negative reviews which will hurt the sales. What do you think about this? Are this companies good at their part? How to create GIFs meme of Donald Trump showing your Image/text using an App.